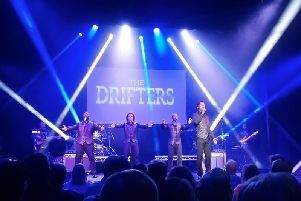 The third annual charity show to be presented by Zak Scott &Friends - Ignited By A Dream - can be seen at The Duchess Theatre in Long Eaton on Saturday, July 23, at 7.30pm. This will be a very special occasion as it is the last in a series of three charity concerts directed by local singer and musical theatre performer, Zak Scott and a group of his talented friends. So far the previous two shows, plus a Christmas concert, have raise over £3,000 for The Duchess Theatre, The Caanan Trust and Maggie’s Cancer Centre in Nottingham. This year’s show is in aid of the Lymphoma Cancer Charity, which is particularly close to Zak. They cost £10 or £15 for a VIP Ticket which includes a drink and a copy of the Souvenir Programme.